On August 15-17, 2008 Bostick & Sullivan hosted a Symposium on carbon printing. The group was relatively small but the work shown was of high quality, with many print styles represented, including multi-transfer high relief prints by Gordon Chapple, rich double transfer prints by Gary Baker, low relief work by Phil Schwartz, prints on aluminum by Bob Herbst, and high relief single transfer work by the author, along with work by many other carbon printers. Because of the fact that carbon printing is not as widely practiced as other alternative processes such as gum bichromate, Vandyke and Pt./Pd., many carbon printers have learned the craft in relative isolation from other workers, which has resulted in a rather wide range of printing styles. This article will provide some details of the printing methods of several contemporary master carbon printers, along with brief commentary on the history of carbon printing and the image qualities of carbon printing. The roots of carbon printing are found in the experimental work of Louis Poitevin in the mid-19th century. Carbon printing, more or less as we know it today, was introduced in1864 by Joseph Swan, who built on the experimental work of Poitevin and created a practical method of making carbon prints. Swan used a paper support, coated on one side with a pigmented-gelatin solution. After sensitization and exposure the tissue was transferred to a temporary rubber support for development. When dry, the resulting pigment image was transferred to its final paper support. Swan began marketing carbon materials in 1866, offering his ready-made tissue in three colors: black, sepia and purple-brown. 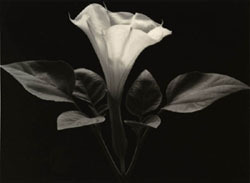 Carbon was the preferred process of the top echelon of commercial photographers in the second half of the 19th century. Price lists of commercial printing houses of the period show that prints made by the carbon process were very expensive, often two or three times more than those of prints made by any other process, including platinum. Materials for carbon printing were widely available in Europe and in North America from the second part of the 19th century until the early 1950s. The last major manufacturer of carbon tissue, Hanfstaengle of Munich, Germany, ceased production of carbon tissue in the late 1980s and for many years there was no commercial source of carbon tissue. 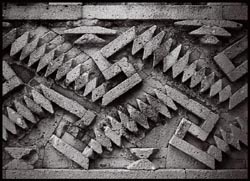 In 2004 Bostick and Sullivan in Santa Fe, New Mexico began to produce carbon tissue for monochrome work. I reviewed the B&S tissue in an article entitled “Pigment Printmaking with Carbon,” which was published in the Jan/Feb 2004 issue of View Camera. Since 2004 the quality of the carbon tissue produced by B&S has been considerably improved and is now offered in a greater range of colors. The carbon and carbro processes offer a number of unique attributes. Sharpness — Unlike some of the other historical printing processes carbon prints have great apparent sharpness. In fact, because of the manner in which relief accentuates apparent sharpness, carbon prints with relief often appear sharper then silver prints. Choice of color — Bostick & Sullivan offer carbon tissue in several colors, and the hand manufacture of tissue makes it possible to produce images in literally any color imaginable. Stability — The archival quality of carbon prints is superb. 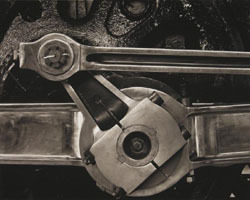 When suitable pigments are used the stability of carbon is limited only by the final support, making it the most stable of all photographic processes. Surface Quality — Depending on choice of tissue, and the final support, carbon prints are capable of a wide range of appearance. Prints may have a matte surface like Pt./Pd., a glossy surface like silver prints, or a relief surface that gives them a three-dimensional quality. Shadow Detail — The shadow separation of a well-made carbon print can be startling. Unfortunately it is impossible to fully capture this print quality in magazine reproduction so that is one of the qualities we cannot show in this article. Choice of Final Support — Since carbon reliefs can be transferred to any suitably prepared surface there is an almost unlimited choice of final supports: watercolor papers, fixed out photographic papers, canvas, glass, even metals. Surface preparation of the final support merely involves coating with a layer of hardened gelatin. Tonal qualities — Carbon has a long tonal scale and excellent straight-line characteristics, qualities which allow the use of fully detailed negatives with long density ranges, resulting in an even distribution of tones from the highest lights to the deepest shadows. Print collectors should be aware that carbon prints are far less common on the antiquities market than other types of historical prints, more so in North America than in Europe. Characteristics which help in their identification include: 1) unusual colors, 2) visible pigment particles, 3) glossy shadows contrasting with matte highlights, 4) surface relief, and 5) Gelatin crazing, which resembles the surface cracking of tempera paintings, is sometimes seen in very old carbon prints. This article will now look at the work of several very accomplished carbon printers who participated in the Carbon Symposium in Santa Fe. A brief description of their working methods will be shown, along with some of the work that they had on display at the symposium. Click on the images below and the artist’s work will open in a separate window. In its versatility and range of possibilities carbon is a superb process. Unlike all other processes, whose image characteristics are closely linked to the inherent characteristics of the process, carbon is capable of presenting images with a wide range of image characteristics, of virtually any color or tone, and on a wide variety of surfaces. 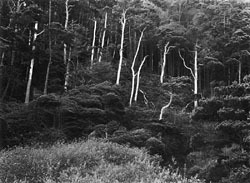 Although carbon printing is a fairly complicated and time consuming process the final result, which is highly unique compared to all other photographic processes, historical and contemporary, is deemed to be well worth the effort by the artists who have contributed their work to this article. For a detailed description of the working procedures of carbon transfer printing see Sandy King’s article, The Carbon Transfer Process. Gordon Chapple and his wife were killed in a flash flood in a slot canyon in Utah shortly after the conclusion of the carbon symposium in Santa Fe. He was a talented carbon printer and a generous human being who graciously shared his expertise and knowledge with others. He will be much missed. An edited version of this article was published in the November/December 2008 issue of View Camera magazine.